Built c.1699 this Grade II* house is one of the earliest surviving examples of an early Georgian building in Hackney. This building also has an interesting history – in 1845 the Elizabeth Fry Institute for Reformation of Women Prisoners was established here to honour Elizabeth Fry’s achievements. Elizabeth Fry, a Quaker and social reformer, campaigned in the early 1800s for women prisoners to be treated with greater humility. She also campaigned for the importance of education and the learning of skills for life after prison. Many of her principles have been adopted worldwide. 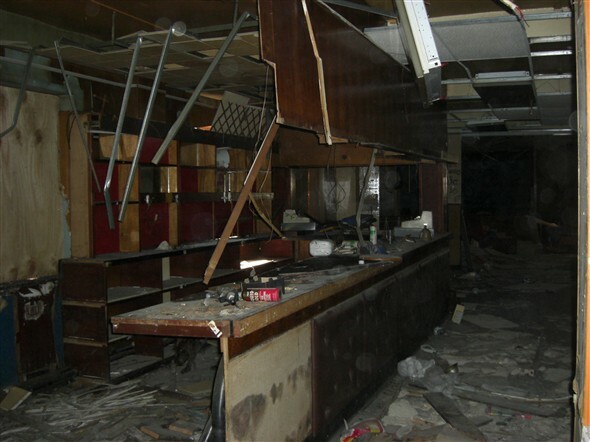 The New Lansdowne Club is now in serious need of repair and should be restored to its former glory. 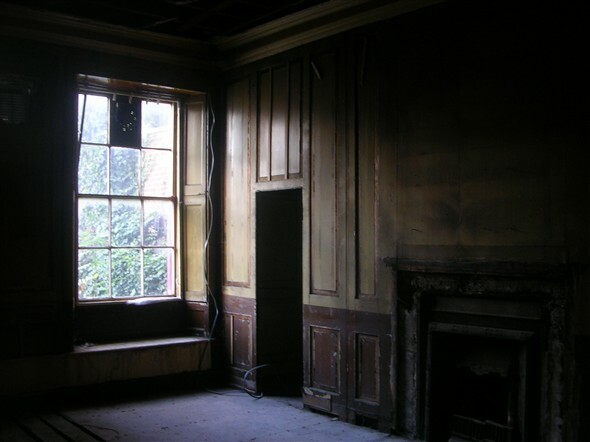 Sign our petition if you would like to see this building restored. It is time that something was done. 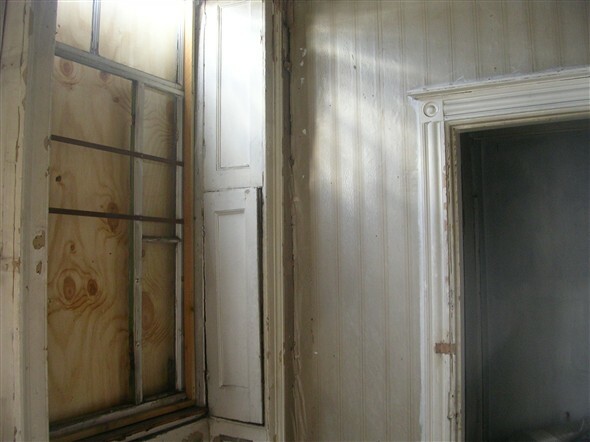 Meetings between English Heritage, the Hackney Society and Hackney Council have taken place and English Heritage has expressed a high level of concern over the state of the building. The council, whilst sympathetic to the concerns that we and EH have expressed, have argued that the new owner should be given a reasonable amount of time to submit plans and to undertake immediate necessary repairs. Apparently a survey has now been completed and scaffolding is in place. We shall continue to monitor this building. 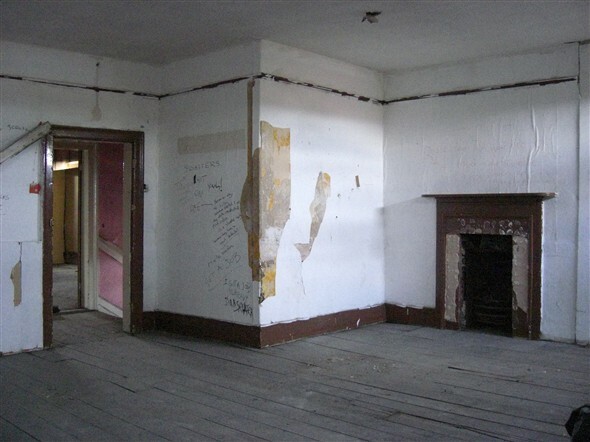 Top floor room where fireplaces have been removed, September 2009.
Who owns this building? 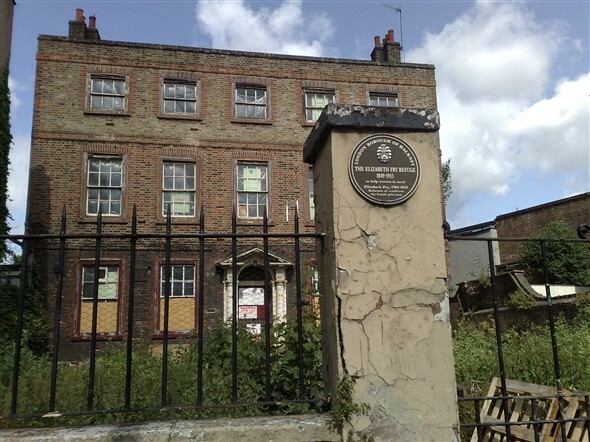 I pass it regularly and it looks very badly in need of attention - I tried to search for it on the Hackney Council website but just got info regarding the plaque honouring Elizabeth Fry. Is anyone doing anything about it? Indeed, who does own this building? 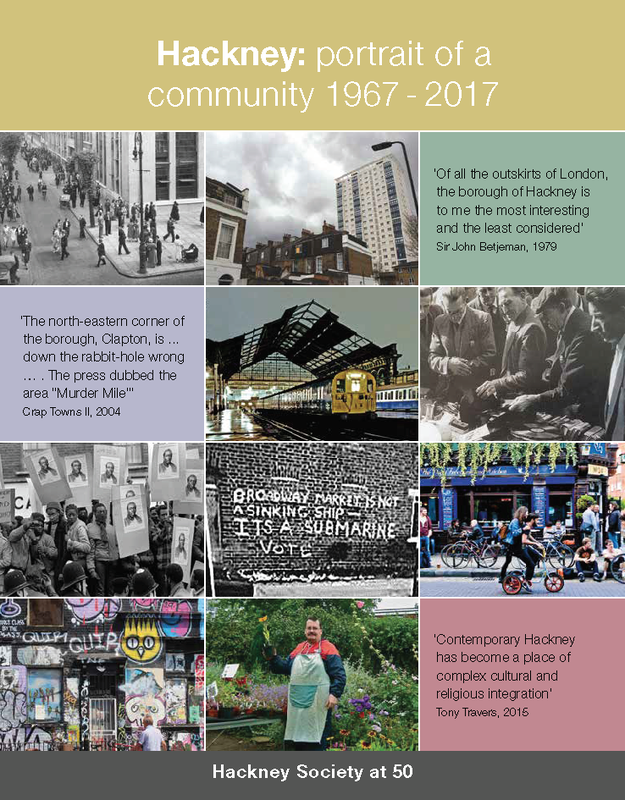 Other than the online petition, do the Hackney Society, or other visitors to this site have any advice or a strategy as to how to influence the saving of this historic building? Please would you provide photographs of the exterior - especially the street frontage, in its built context - of buildings you are trying to save. Just giving views of the interior (although interesting) give one no idea of what the effect of saving - or losing - the building would be. Thanks. I live two doors down and the place has had planning permission for about five years to be made into a Vietnamese Community Centre. The planning permission documents are on the Council's website and it looks like the person who owns is Vietnamese. The grass and weeds in the garden have been cut a couple of times and squatters have been in and out periodically but apparently they've now approached the owner who is letting them stay. It has electricity and we went to hear some live bands there recently. There was no sign of any needles that night! I am not convinced by the story that it is a hang-out for drug users. Living close by I pused open the door a few weeks ago and there was a spontaneous arts festival in progress, organised by a small number of highly articulate and hospitable squatters. A model was being photographed, then I joined in a game of table tennis ... it was fun, and intriguing, although, yes, that's just one person's impression on one particular night. What I'd be interested to know from the Society is who owns the house, and exactly what consents are in place. Like many people, I can't help totting up what's in my bank account as I walk past, and wondering if I could buy the place. I visited last month. Hi, I am a member of the group squatting this building and no we don't take drugs, the picture of the table was maybe to demonstrate how the building WAS being used. We are taking care of the building, understanding its importance to the local community and trying to make the most out of our time here by starting a couple of projects that are free and open to all. For example in the space pictured where drugs were being taken we now run a bicycle kitchen where you can come for free help repairing your bike every Tuesday afternoon. I just wanted to clarify that we have good intentions, and are not 'druggies' and in the short time that we have been here we have made some serious improvements to the building, preventing the spiral of degradation and neglect. If you have any concerns or comments, please come and visit! This building has been derelict for ten years solid. 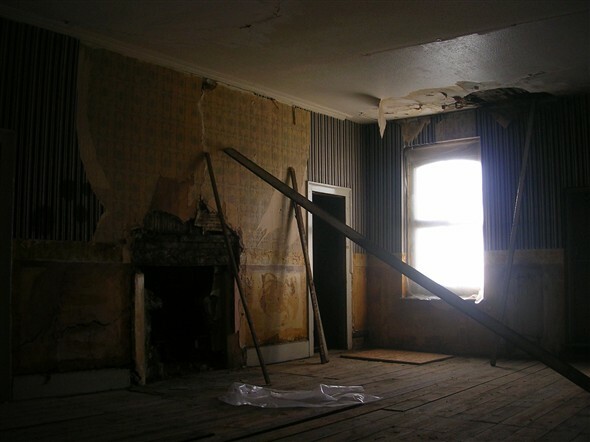 Hackney Council has set aside money to renovate this property but please do not hold your breath. In theory this building does belong to HBC, but if it does not receive the financial care or TLC it requires I dare say this would very quickly become the ownership of someone else. I have a clock, the face of which states: C E Carter 195 Mare St Hackney. Was this building ever occupied by a clock maker called C E Carter? 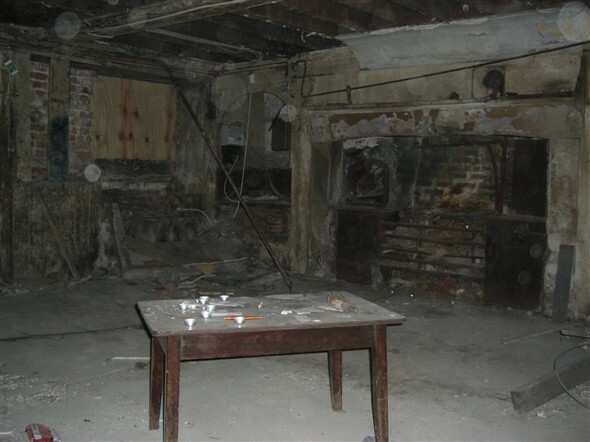 Does anyone know if i can use this place for a photoshoot? or maybe someone knows who i can ask? The site has been reposessed by Dunbar Bank; I'd talk to the squatters while they're still there if you want to do a photoshoot, as I imagine the bank will be trying to get them out. Hi there, does anyone know what happened to the squatters? Where they went, and did the council evict them? It sounds like they were treating the building well I'd be really interested as to what happened to them. Thanks. I'm really interested by the comment left by 'Squatter' back in February 2010. I'm researching a feature news story about about old/historic/listed buildings in Hackney and am focusing on the Lansdowne Club as an example. It would be fantastic to talk to you about your experience at the house with the social space you were running. It sounds like it was a great project while it was able to last. Please get in touch, here's my email: elliederose@gmail.com. Thanks and hope to hear from you! It is so sad to see such a beautiful building left to deteriorate so badly. My childhood was spent in that building when it was a working mans club. I have such happy memories. Shame it couldn't be made into a similar place again where families could go with there children and enjoy a social life. I used to go to the working mens club when i was a child with my family, my grandad n nan, mag & wag rawlings became members in around 1953, and our family used it every wkend until about 1987 when we moved from hackney, i have the most fantastic memories of going there, playing in the front garden, there was a huge memorial board in the front foyer area dedicated to elizabeth fry. The club had a resident band and every sunday was caberet night!! My uncle doug rawlings was the entertainment secretary. Every week all the family and friends wld meet up there, all the women wld sit 1 side of tge table chatting and all the men on the other side talking footie!! It makes me so sad to see the building in such a state, it gave me some really great childhood memories .